Click here for driving directions to STAC schools. 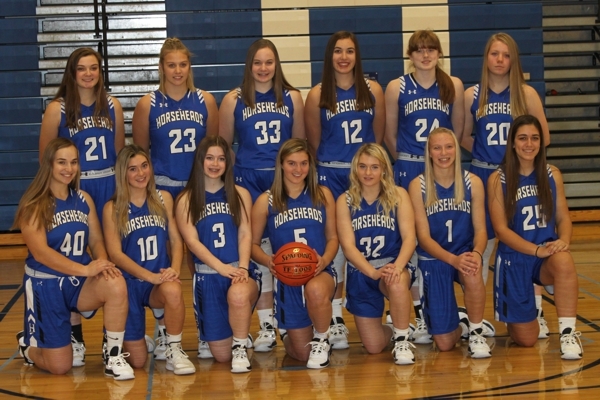 Coach Scott has been a part of the Horseheads Girls Basketball Program for twenty-two years (heading into his twentieth on varsity). In his first two years (1997 and 1998), he guided the JV Girls team. After getting the varsity coaching job in 1999, Coach Scott's teams have won nine sectional championships, two regional championships ('01 and '02), and two straight trips to the Final Four. Also, ten division titles have been earned in his tenure, along with one STAC Championship in 2014. Coach Scott lives with his wife Susan, and his three children: Ryan, Carly, and Leah. Coach Laney has been the JV coach for the past nineteen years, and is getting ready for his 20th season. This past year the JV went 15-4. Coach Laney has had many successful seasons as his teams won the STAC West division seven times. In 2001 and 2008, Coach Laney's team won the JV STAC Championship at the Broome County Arena. Coach Laney does an outstanding job teaching the offensive and defensive sets, and takes pride in preparing the girls for the next level. He lives with his children Olivia and Patrick along with his new wife Terri and her three children. Coach Romanski is in his 15th season as the modified coach. Mark does a fantastic job teaching the fundamentals and getting the most out of his players. His team went 10-4 this past season with a very young and promising group. Mark is a physical education teacher at Ridge Road, and lives with his wife Molly, and his two children Drew and Emma. Coach Rathbun is an excellent addition to the staff. Jill was just hired as the reading teacher at Horseheads Middle School. She played in the program on the modified and freshman team. She also played varsity tennis and lacrosse at HHS. We are happy to have Jill with us, as she is positive, energetic, and enthusiastic. Welcome aboard! !